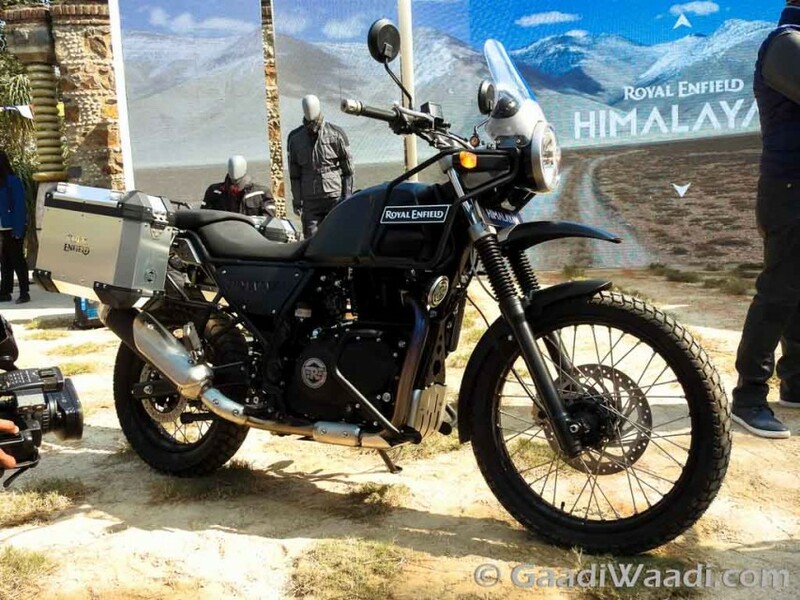 Royal Enfield Himalayan was launched creating quite a sensation. The motorcycle is the first purpose built model from the brand for India buyers. 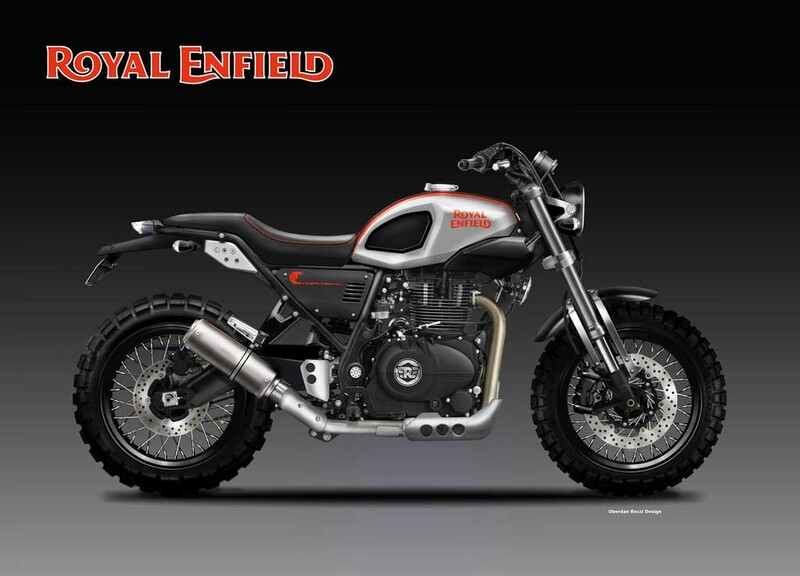 Now famous automotive designer Oberdan Bezzi has designed a more aggressive and off-roading focused rendering based on the Himalayan and christened it as Royal Enfield 400 Cobra. Sporting a scrambler guise, the Royal Enfield 400 Cobra appears very bold looking from nose to toe. It sports a round shaped headlamp with black bezel, twin-pod instrument cluster with analog and digital display. The fuel tank appears different from RE Himalayan and looks more muscular. It gets Black thigh padding at both sides, just like the Royal Enfield Classic’s fuel tank, but the distinctiveness is also very much visible. Unlike Royal Enfield Himalayan’s split seat, the RE 400 Cobra gets a different seat with black leather and Red contrast stitching, enhancing the sporty appeal. The fuel tank too gets the Red stripe in its giving it a contrasting appearance with the silver base paint. The rear of the RE 400 Cobra looks sharp and narrow and sports a sleek LED taillight. The exhaust canister too is very distinctive than the Himalayan and gives the imagined motorcycle an aggressive look. Overall, despite being based on the Royal Enfield Himalayan, the RE 400 Cobra looks completely different. 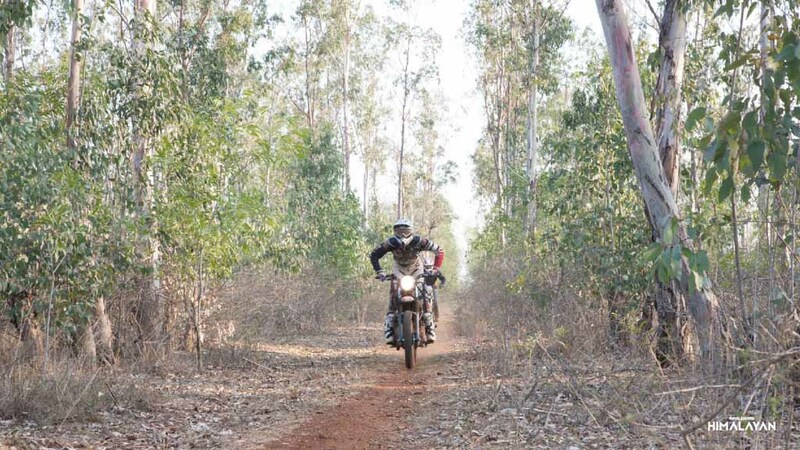 It comes as an exciting model and if the Chennai-based company decides to produce it, surely there will be lot of takers considering the growing demand of adventure motorcycles from the new-generation riders. The multi-spoke wheels with chunky off-roading purpose built tyres make the model very intimidating, while the higher ground clearance clearly emphasises on the toughness of the motorcycle. For braking duty, it gets disc brakes on both the front and rear wheels. The designer has imagined the motorcycle with the same 411 c single-cylinder, air-cooled engine available in Himalayan.